Perfecting sports sunscreens for over 25+ years. SolRX Sunscreen was originally developed for, and tested with, athletes competing in the gruelling IRONMAN World Championships held in Hawaii. Clearly the ultimate test for any sports sunscreen. SolRX sunscreen had to last a minimum of 8 hours and protect athletes from eight times the dose of UV light that can cause sunburn. It needed to be water resistant for a 2.4 mile swim and sweat-resistant for both a 112 mile cycle and a marathon. 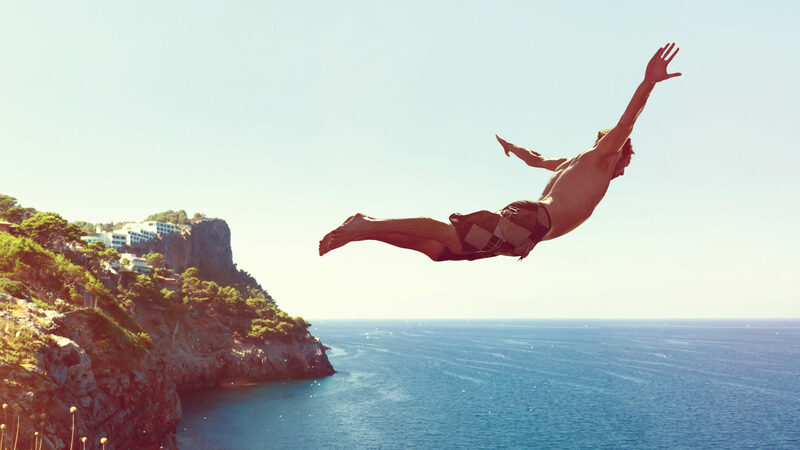 SolRX has successfully met these rigorous demands and continues to do so today, and as a result, it has become the preferred sunscreen of some of the world’s most extreme athletes. We don’t rest on any laurels though – we continue to innovate and refine the formula to ensure we remain at the forefront of sunscreen technology. the product is inactive but on application, the ingredient structure changes as part of it evaporates into the air allowing SolRX to bond to your skin. This creates a water and sweat proof barrier (so no running into your eyes) whilst not clogging the pores thus allowing the skin to breathe. it will keep you protected from the sun whatever your activity. When AMA Testing Labs in the USA were asked to prove the sun protection performance of SolRX they found that even after 8 hours of wet testing, it still maintained protection above its advertised SPF (that’s why we have a + after the SPF factor on our products). SolRX products have been extensively field tested across the world. 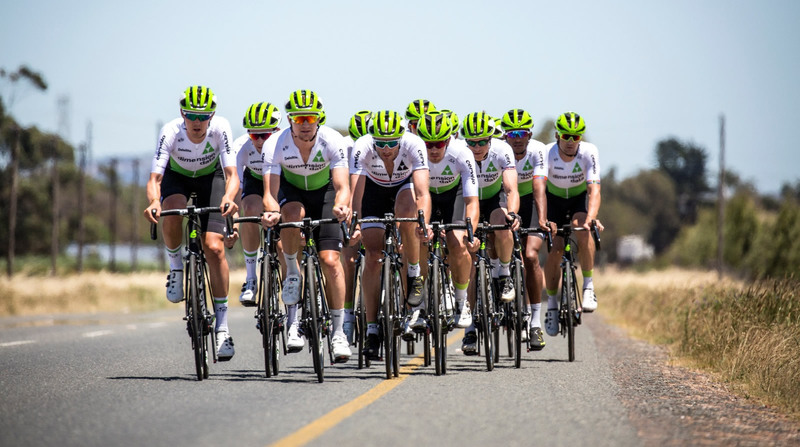 Users of our products have included professional triathletes, lifeguards, surfers and skiers as well as Team Dimension Data for Qhubeka, the World Tour Cycling Team competing in events such as the Tour de France. SolRX cream has been a very important addition to my kit bag for training and racing. Being out on the water for long periods it is very important to have a sun cream that works. 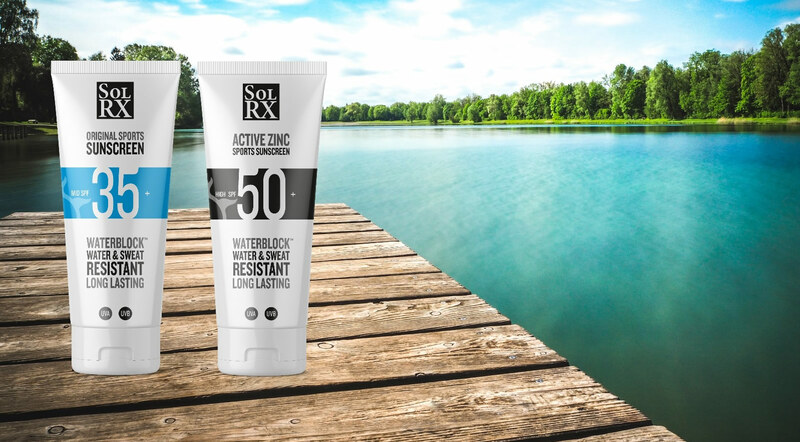 SolRX protection is great and the fact it is water resistant makes it perfect for a water sport, it doesn’t run when sweating which means nothing is transferred to the handles of our oars which is essential. Highly recommend SolRX to any athlete. Best attribute is not sweating in your eyes so it’s pain-free after application of the sun cream. The water and sweat resistance of the SolRX suntan lotion was an enormous help in the very high humidity at the world championships in Florida. In a high stress environment it was one less this to worry about. 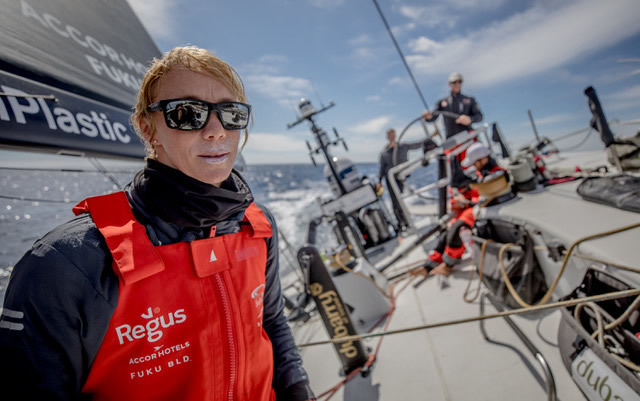 The SolRX sun cream really is water resistant which is crucial for me as an athlete in a water sport. It survived the splashiest and sweatiest of sessions and kept me protected from the sun on even the hottest days. SolRX is a critical partner to the team, the riders use so much energy when they are riding doing a stage; if you get burnt or you get heat stroke because you don’t have the proper protection, that also uses the bodies energy to try and recover, so having the right solution and the right product is critical to keep the guys on the road every single day. When we are on the bike we are always out in the sun and being from Australia I’ve always known that it’s important to have sunscreen on. So, every day you need to have it on because you are on the bike for five or six hours in the sun. The ideal sunscreen for me is something you don’t really know you have on, it doesn’t make you sweat, it’s breathable and not going to sweat straight off. SolRX is great – you know when you put it on at the start of a stage it’s going to have you protected. It doesn’t sweat off, so for me it’s ideal. 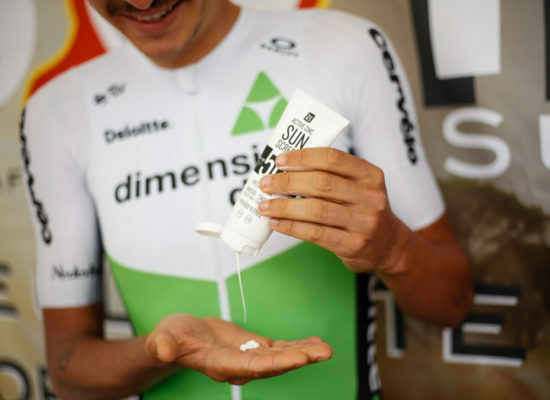 SolRX sunscreen has been brilliant for us, we use it throughout the tour de France and other races and it just helps us keep the skin healthy and protect us from the harmful sun day after day in the bike. SolRX doesn’t run into the eyes, it dries quite quickly on the skin and it’s not the greasy feel that you sometimes get with other sun creams, so it’s been very good especially for active things such as cycling. At Ironman Hawaii in 2009 I was worried about the sun, and about getting burnt during the race. I put on lots of “another brand” factor 50+ the night before and on the morning of the race, and got burnt something terrible, especially on my shoulders, and on my bald head through the helmet. I had a good complain about all this at one of the Kona bike shops, and the assistant asked if I had tried SOLRX, which I had never heard of. It was a little bit more expensive than the other brands, but I bought a tube to try out. I was in Hawaii for another month of training before going over to do Ironman Western Australia, so I got lots of opportunity to use SOLRX in the harsh conditions out in the lava fields, and on the ride out to Hawaii and back on the Queen K. Without sounding like just another raving testimonial, the stuff was brilliant. I didn’t get burnt, I could also apply it on my forehead, and it didn’t dissolve and sting my eyes. I could carry on and on, but I won’t. I think it is sufficient to say that anyone who knows about SOLRX but gets burnt using something else, deserves everything that they get. I now rave about the stuff to anyone willing to listen. It certainly raises the bar on what the active triathlete can expect from a sunscreen in extreme sun. SolRX sunscreen saved our hides literally in the Sahara Desert … During our North to South crossing by wind power alone we were exposed to the harshest terrain, conditions and sun possible. I would argue that this is the harshest environment on earth for skin. Thanks to SolRX all four kite buggies crossed with no sunburn at all. The heat, direct and reflective sun were intense. There can be no tougher arena to showcase the superiority of this cream’s protection from UV rays. Go SolRX and thank you from all our hides!